Build phonics and spelling skills while having fun! 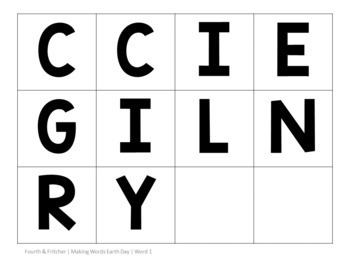 This product contains a mat and letter grids for 8 different words associated with Earth Day. 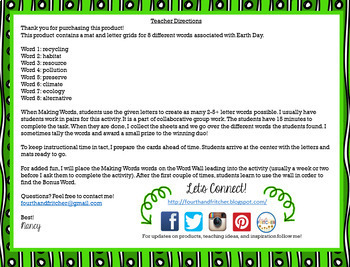 This resource works well for substitute planning or as a quick 30 minute mini-lesson! 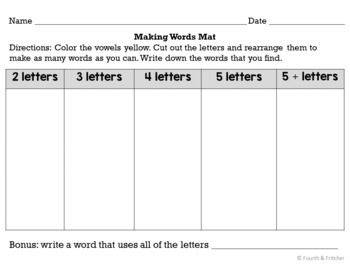 It can be easily used for partner work or literacy centers. 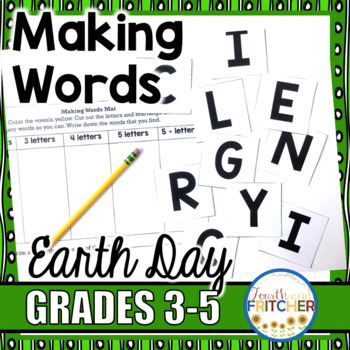 Click here to see other Making Words Resources!